Yesterday, at the annual MCTE fall conference, I was fortunate enough to share a presentation session with my CRWP colleague, Andy Schoenborn, and one of our CMU English Education students, Rachel Kish. Our focus was on the way that Andy has been implementing NWP’s College, Career, and Community Writers Program. Thanks, Jen, for capturing the spirit of the presentation, and I hope that others find the resources we shared to be useful. My colleague Robert Rozema has asked me to speak at the Michigan Council of Teachers of English annual conference later this week about where the “common core conversation” is at in Michigan. So, I have gathered a few resources that trace CCSS implementation in our state, and across the nation, including the current debate. This is not meant to be exhaustive, but instead to be a set of resources that can inform our critical, careful conversations about what we, as English teachers, can do moving forward in an era of CCSS. Interestingly enough, not much of this conversation involves actual students, a point I will return to at the end of this post. The Common Core State Standards Initiative is a state-led effort that established a single set of clear educational standards for kindergarten through 12th grade in English language arts and mathematics that states voluntarily adopt. A critique of this official narrative is that, because of the timing of the Race to the Top competition and the actual date the standards were finished, most states signed on to the standards without really knowing what they were or would be. I could say quite a bit, but will refer you to NCTE’s “An Open Letter to NCTE Members about the Common Core State Standards” and the edited collection by Patrick Shannon, Closer Readings of the Common Core. These pretty much debunk the myth of the CCSS as an educator- and parent-led initiative. In short, this was NOT a teacher-led initiative, and David Coleman (among others) have had a heavy hand in the highly-corporatized effort. Under criterion (B)(1)(ii), Phase 1 applicants will earn points based on the extent to which they demonstrate commitment to and progress toward adopting a common set of K-12 standards by August 2, 2010. Phase 2 applicants will earn points based on whether they have adopted a common set of K-12 standards by August 2, 2010. In short, Michigan (like other states wanting to “compete” for federal money) had to adopt CCSS, even though it is labeled as a “state” initiative. The legislation went into effect on January 4, 2010. Again, it is interesting to note that the CCSS, in its final form, wasn’t introduced until June 2, 2010. And, of course, hindsight shows us that Michigan failed to win the race, because we did not earn federal dollars in either our phase one or subsequent applications. However, we did sign on to the CCSS, eliminated teacher tenure, raised the cap on charter schools, introduced more virtual schools, and created the Educational Achievement Authority. Stay tough, nerd! So, what a deal we got in the RTTT bargain, one that Granholm has now used to describe how we can reach energy independence, too. We’ll see how that goes. And, for those of us caught in the middle, it has led to some confusion, frustration, and anger. In Michigan, it appears (for the moment) that the state will allow education funding for CCSS initiatives. We have the Michigan Coalition for High Student Standards — including partners such as varied as Dow Chemical and Steelcase to the MEA and AFT — advocating for the CCSS and, in turn, the federal money and testing that comes with them. On the other side, we have local, grassroots groups like Save Michigan’s Public Schools and the broader coalition formed by Diane Ravitch, the Network for Public Education. Despite an Oct. 1 deadline that would stop funding for the Common Core State Standards in Michigan, lawmakers in the Michigan Senate are not going to rush to approve a concurrent resolution approved Thursday by the state House of Representatives. Interestingly enough, the House stripped out an “amendment which would have required state lawmakers to also take the same exams as students” because “the cost for test materials and scoring for the entire Michigan Legislature alone would have exceeded $3,300.” Really? I bet that we could pass the hat and come up with that much money so our legislators could have the same pleasure as our students. Another element that is particularly disheartening, especially given this essay by Benjamin Winterhalter in Salon, is that our legislature is considering “a contractor that provides electronically-scored essays with the ability to score constructed response feedback in multiple languages and provide ongoing instruction and feedback” (Bottom of page 1503). Apparently, they missed the memo from NCTE about machine scoring. One of the key features of the conventional wisdom, the dominant ideology, is that we no longer recognize it as such because we hear it so often. There’s no food for thought here; everyone just knows that our students are lousy, or that raising test scores would improve our economy, or that grit is good; there’s no need to defend these propositions. Groups like the Badass Teachers Association, FairTest, United OptOut, Ravitch’s Network for Public Education are trying to push against the dominant narrative. We have collected some other resources on our SchoolTM wiki that may be useful in addition to the ones provided by those groups. Moreover, this is about kids. While test scores may be rising, slightly, the fact is that EAA schools are not at the center of their communities. They are test prep factories. What kind of future are we creating for kids who fail to find interest in learning? I doubt that we will solve any of these problems in our conversation later this week, but I hope that we might continue to move forward with our efforts to help teachers and students in the small ways that we still can despite the overwhelming forces that are against us. Lewis Powell — what time and decade is this? Who is this? This was a wonderful presentation from a young teacher — some tools that I knew, many that I didn’t — and shows me that there are some great things happening in classrooms with multimodal composition, and even greater possibilities. The Fries Award, first given in 1967, was named in honor of Charles Carpenter Fries, a University of Michigan Professor and an early president of MCTE. Recipients of this award have served their local communities, have provided significant service on state and/or national levels, and in general have demonstrated outstanding leadership in the field of education. Troy more than fits the bill. Congratulations, Troy! We are all so proud of you! Of the many times in my life that words have escaped me, I wish that they would not have at the moment Rita honored me with the award. Along with Janet’s kind letter about my work, this award means a great deal to me since it came from my peers. I thank all of you – my colleagues and friends from MCTE, MCEE, RCWP, and NWPM – for nominating me, and should have taken a moment to express my appreciation while standing there at the podium. Moreover, as you all know, the one person that I wish could have been there to share it with me, my wife, Heather, deserved to be mentioned, too, as she supported me through my many years in the classroom and graduate school. She made much of what I was able to accomplish possible through her love and encouragement, and I feel that this award honors her memory, too. Although the moment has passed to make these words public in front of the gathered membership of MCTE, I hope that my appreciation comes through as much by posting my sentiments here on my blog as it should have in person. Today’s NCTE Inbox had an official list of blog posts about the convention, as well as Traci Gardner’s commentary about whether and how teachers should blog (for the record, she thinks that they should, although some districts do not). I find this thread of conversation an interesting complement to a few others floating around today, too. One of the threads is a group of NWP tech liaisons talking about whether and how we should start a national social network of teachers doing great things with writing and technology. This network exists, in some ways, but it is scattered in many places, not all of them “officially” sanctioned by NWP (nor do they need to be). This conversation is important though because I think that it raises one fundamental issue — for all the blogs, wikis, podcasts, social bookmarks, RSS feeds, Facebook groups, Ning networks, and other ways that we have to stay in touch, do we actually stay in touch? I have been thinking a lot about this lately as I help my pre-service teachers understand the implications of blogs and wikis as well as try to organize such groups for the various professional organizations that I am in including RCWP, MCTE, MRA, and CEE. How to build and maintain a network — let alone if a “formal” network is needed at all — is at the core of what I and four other colleagues are thinking about as we prepare to propose a new interactive website for CEE. There is also interaction in the works for MRA. Yet, RCWP and MCTE have had interactive sites, more or less, for a year or two now and neither of them generate much traffic. So, even if you build the space for the network, it is not a guarantee that teachers will come. So, what to do about social networks for teachers? I am not sure how to best answer that. We are trying a wiki and Google groups for Project WRITE, and having limited interactions and success with those spaces. Is part of the problem that the idea of social networking is still too new or different from what we are used to with F2F networking? Are we still just stuck in email mode and not ready to venture out to the web to find a network, rather waiting for it to come to our inbox? Or, is it just the fact that a certain type of chemistry, one that can’t be forced, but must be natural, must emerge? I certainly don’t have any answers, especially not tonight. But, I feel that the questions are worth asking; even if we don’t get to answering them outright, we can begin to understand why teachers (generally) choose not to use these networks. My thoughts range from being busy to not being aware, from being happy within a school-based learning community to simply not wanting to move outside of one’s comfort zones. As networks continue to grow, I think that we need to ask these fundamental questions about why and how they work for some teachers, while not for others, and whether we should be trying to make the perfect network, or rethink what it means to be a teacher in the 21st century. 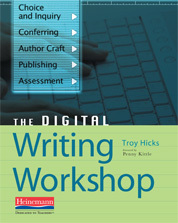 The second book that we are using in our summer institute is both practical and promotional. 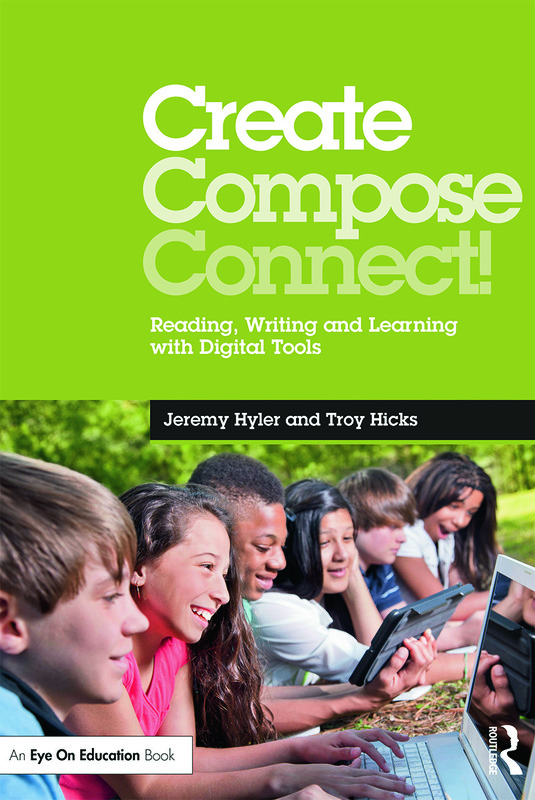 Teachers’ Writing Groups: Collaborative Inquiry and Reflection for Professional Growth (Kennesaw University Press, 2006) describes multiple configurations of writing group — important to our summer invitational — and is co-edited by Kathy Yancey, the keynote at MCTE’s fall conference. So, we are reading to find out more about how to conduct our own writing groups while also preparing for the fall conference. Here is my first attempt at a review. As a member of many writing groups over the past five years, I began reading Teachers’ Writing Groups: Collaborative Inquiry and Reflection for Professional Growth with my own inquiries:How do teachers form and maintain writing groups that focus on professional writing, especially during their busy school years?In what ways can writing groups encourage professional publication while still nurturing the writer’s soul?Does it require a shared goal (such as writing a particular article or a collaborative project), or just a shared sense of purpose? How do teachers decide when it is time to end a group? These groups, then met face-to-face and online, as did the larger group comprised of all the smaller ones, over the course of a year, all the while setting goals for drafting, response, and, eventually, publication. 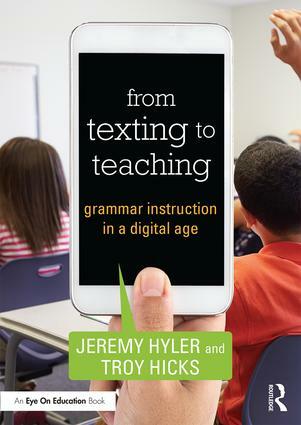 Their conclusions suggest that the process of writing and reflection that the groups fostered allowed the teacher writers involved to create substantial pieces, over time, that were indicative of the rich teaching practices that they hoped to describe. This took time for trust building, and was fostered by an overall sense of purpose for the large group. Along with multiple opportunities to give and get response, the group’s consistent focus on publication seemed to motivate many of the writers in this project. By beginning with the end, I was able to go back into the three sections of the book that each writing group produced and read them with a better sense of purpose. In each of the three sections — “Creating Our Professional Identities,” “Looking Closely at Classroom Practices,” and “Designing Writing Programs” — the teachers involved took the overarching theme that developed in their group and translated it into individual essays fronted with a collaborative response about the group’s work process. To me, these introductory essays for each section were the most compelling pieces in the overall text, as each told the story of how the group worked (and, sometimes, didn’t work) together. For instance, Kramb, Harrell, Seaman, and Yow in “The Gift of Time” describe the ways in which a set protocol helped them organize their work and stay focused as a group. They show how this process of setting norms took “time and patience,” but that, “[t]hose discussions were powerful, once we established the protocol that was right for our group” (p. 18). The notion that a group of writing teachers — all well-versed in their pedagogy and at least moderately confident in their writing abilities — still had to set up a protocol is reassuring. In the writing groups with whom I have worked, those that set and stick to protocols are the ones that last the longest and are successful. Rather than viewing this as a strict set of rules, group members are able to offer responses within these guidelines, feedback that is “both honest and kind at the same time,” according to the authors (p. 20). 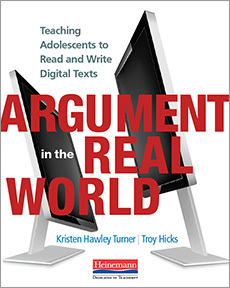 The second group — Robbins, Stewart, and Kaplan — discuss the ways in which they used technology to comment on one another’s writing and also shared professional readings as a way to stay focused and dig deeper into common themes they were exploring. The third group — Walker, Walker, and Smith — offer the protocol of reflecting, at the end of each session, on what worked well for the group and what did not (p. 116). This is a strategy that I have not tried myself and think that I might suggest in this summer’s institute, especially early on in the process. 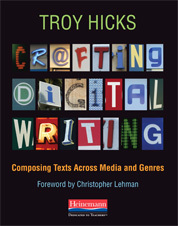 Taken in sum, the three introductory essays offer snapshots into the varied practices of writing groups and the ways in which they can work. Interestingly enough, the editors note their one “failed” writing group disbanded because the members felt too isolated, from one another and the larger group (pp. 187-8). This cautionary note reminds me to think carefully about how and why to invite teachers into writing groups and to consider the ways in which face-to-face and online collaboration can contribute to, and take away from, the group’s over sense of community and purpose. Also, through these failed writing groups, I can remember that it is OK from time to time for all writers to reconsider their goals and, even in successful groups, think about articulating what it is they want and hope to gain from giving and getting feedback. This process of reflection will enhance everyone’s group experience. My concerns about the book are both in content and form. In terms of form, I do feel that the book is a bit disjointed in that each section’s preface, useful as they are, could be more detailed about suggestions for writing groups. In terms of content, I wonder about how “kind and honest” all the teachers both in the project and outside of it were in their responses to one another, with emphasis on the honest part. 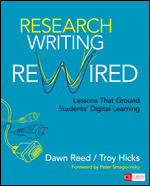 For instance, the responses in “Writing with Our Eyes Open: A Collaborative Response to Teachers’ Writing Groups” (pp. 173-180) seems to focus a little too much on the positive aspects of the book and could have offered some more critiques. And, of course, this is the problem with all writing groups; in our efforts to praise, I think that we too often try to be kind without being honest. In conclusion, Teachers’ Writing Groups: Collaborative Inquiry and Reflection for Professional Growth reiterates for me the power of collaboration. I believe that the authors in this book, overall, were pretty honest with themselves and their colleagues, despite my concerns listed above.